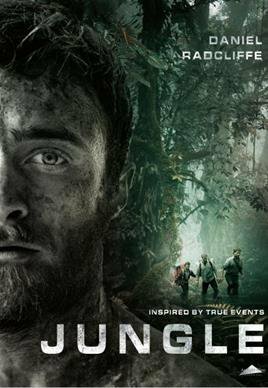 ‘Jungle‘ is an upcoming Australian adventure film directed by Greg McLean and written by Justin Monjo. The film stars Daniel Radcliffe, Alex Russell, Thomas Kretschmann, Yasmin Kassim, Joel Jackson and Jacek Koman. The log line is simple enough: A group of friends trek into the Bolivian jungle with a fraudulent guide. Once you watch the trailer you’ll realize it’s so much more than that. It’s a veritable fight for survival. The film bows later this year. This entry was posted on Wednesday, June 14th, 2017 at 12:36 pm	and is filed under Books, Film, News. You can follow any responses to this entry through the RSS 2.0 feed. You can skip to the end and leave a response. Pinging is currently not allowed. « The Trailer For The ‘Flatliners’ Reboot Is Here!!! Indy, there is something that troubles me. The Ark. If it is there, at Tanis, then it is something that man was not meant to disturb. Death has always surrounded it. It is not of this earth.